Check out the FAQ's or start a Chat! 1. Who is The Eduvation Network? The Eduvation Network is a secure, cloud based Learning Management System (LMS) that hosts online customised accredited and non-accredited courses. 2. How do I register on The Eduvation Network platform? 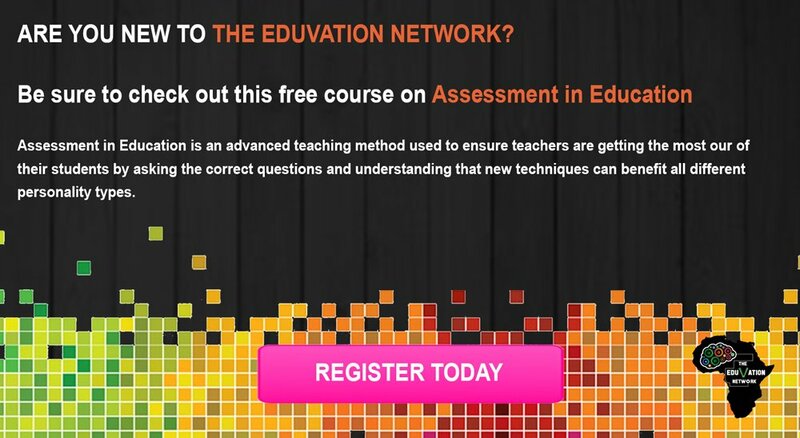 To register simply visit https://www.eduvationnet.co.za/register/ and fill out the form and click on 'Complete Sign up'. 3. How do I purchase a course? Simply sign up on our platform and visit the All Courses page. Click on the course you wish to purchase, then click 'Take this course' on the top right hand side of the page. Click on 'Add to cart'. The course will be added to your cart, which you can view by clicking on 'View Cart'. To complete the purchase click on 'Check out'. 4. How do I become a manager? If you are wanting to sign up your entire company or educational intuition to complete online training on the Eduvation platform, please email info@eduvationnet.co.za to begin the sign up process. 5. How do I become a content provider or partner? If you are wanting to become a content provider or partner of Eduvation, please email info@eduvationnet.co.za to begin the sign up process. 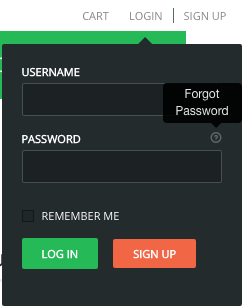 If you are having trouble logging on and need to reset your password, simply visit click the small question mark at the top right of the page as displayed in the image below and follow the instructions, alternatively please contact Eduvation Support by starting a Chat (Bottom right) or visiting the Contact Us page. 7. How do I extend a course subscription? If you are still busy completing a course but the course has expired, and you want to ask for permission to extend your subscription. Click into the course and click on 'Course expired click to renew'. Here, you will be able to purchase the course again and the content provider will be notified. Alternatively, you can send a direct message to content provider of the particular course. 8. What payment methods are accepted on the Eduvation platform? The Eduvation platform accepted Direct Bank Transfers as well as online Credit or Debit Card payments through the PayFast portal. If you do a Direct Bank Transfer, please ensure to email proof of payment through to info@eduvationnet.co.za. 9. I did not receive an email after registering on the Eduvation, what do I do? If you did not receive an email containing a welcome pack, please email the Eduvation team at info@eduvationnet.co.za for assistance. 10. Can I complete Eduvation courses on my tablet? Yes, all Eduvation courses can be completed via a computer, tablet or phone. 11. How many times can I complete a course? Courses can only be completed once. Upon needing to retake a course for a particular reason, please contact the Eduvation team at info@eduvationnet.co.za. Alternatively, a course can be purchased for a second time. 12. Once I have completed an assignment, quiz or courses, where do I go to view my results? To view your results, click on your name in the top right hand corner. In the drop down menu, you will see a tab called results and certificates. To access your results, click on the tab. 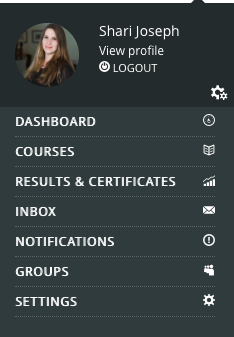 You will then be able to use the Results and Stats tabs to see your results from courses.